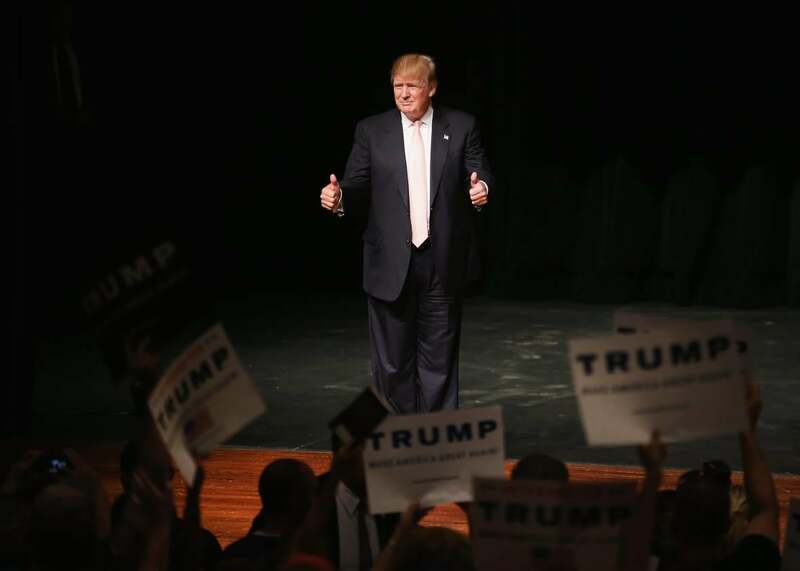 Donald Trump-GOP loyalty pledge: Politico reports that Trump will agree to back eventual Republican nominee. Is Trump About to Rule Out a Third-Party Run? Donald Trump greets guests gathered for a rally on July 25, 2015, in Oskaloosa, Iowa. A close associate tells POLITICO that Donald Trump plans to sign a loyalty pledge Thursday that would bind him to endorse the Republican nominee, and would preclude a third-party run. Trump made the stunning decision, which he has long resisted, to avoid complications in getting listed on primary ballots, and to take away an attack line in the next debate, the associate said. Trump’s set to hold an afternoon meeting with RNC Chairman Reince Priebus prior to his afternoon press conference. Since this is Trump we’re talking about, we’ll have to wait and see if he really does sign the pledge—and if he ultimately follows it. As his campaign manager, Corey Lewandowski, told Politico when asked to confirm the report: “I don’t think you can ‘expect’ anything from Mr. Trump.” That’s not entirely true: You can always expect a show.